The best way to buy a mattress is to narrow down your options by reading reviews and rankings from many sources. If you’re a side sleeper, seek out rankings of the best mattresses for side sleepers. Same with back sleepers. If you sleep hot, seek out a mattress that helps you cool down. If you sleep cold, find reviews of mattresses that help keep you warm. At Online Mattress Review we are setting out to help you narrow down your mattress choices. 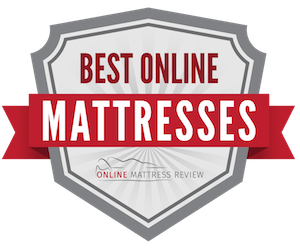 Whether you choose to buy at a traditional mattress store near you, or an online mattress store, we’ve got you covered by highlighting only the highest rated mattresses. Give insight to how reliable a company is, and how their customer service department handles problems. Indicate what the best and worst experiences of consumers who have tried the product are. Allow you to learn about the quality of the product. May even show pictures of the product in their homes so you can get a better look. A 2014 study showed that 88% of consumers trust online reviews just as much as personal recommendations from friends or family. Use reviews to read about how long the mattress lasted for other people who have tried it out, read about how it was delivered, read about how they felt after sleeping on it for the first time. All of this information is going to help create a well-rounded portrait of the different mattresses that you’re comparing and can help you to determine which ones are going to give you the most value for your money. In addition, if there are any quirks that you should know about. Maybe the king size mattress needs slightly larger sheets than a standard king. Maybe a mattress labeled as being firm was a little softer than some purchasers expected. Reviews can tell you all of that and make sure that you’re prepared for everything from confirming your purchase to your first night in your new bed. The perfect mattress is out there for you, and reviews are going to be pivotal in helping you to find it. The National Sleep Foundation says that factors such as chemical composition, position-specific comfort, and more are all important attributes to settling on the perfect mattress for you. Reviews will allow you to do more rigorous research into those factors. For instance, the position you like to sleep in is something to look into. If you like to sleep on your side, you can read reviews about mattresses that are best for sleeping on your side. Our findings indicate that it is the Olee Sleep Hybrid Innerspring Mattress. Side sleepers need a unique type of support. Same goes for those of you who prefer to sleep on your back or your stomach, there is a particular mattress that is best going to support you and conform to your body. Reading reviews can lead you to find it. Also, if you get too hot or too cold when you sleep, you can read reviews from people who’ve also felt that way and seek out a mattress that has worked for other people under similar circumstances. Smaller bodies need smaller mattresses. And different stages of life require different amounts of firmness. We’ve put together some review guides to help you pick the perfect mattress for your infant, growing baby, toddler, or older child. Another way that reviews can help you is if you’re interested in trying something new. Perhaps you have always slept on a coil mattress, but historically, coil mattresses aren’t as firm as other mattress and can lack support at key pressure points. If you’ve never tried a memory foam mattress or a latex mattress, you want to make sure you know what it is all about before making such a large and long-term purchase. There are hybrid mattresses, latex, memory foam, waterbeds; there are materials that help with dissipating heat, materials that can help you keep warmer and; there are hundreds of different brands each with hundreds of different options. The amount of options is so vast, reading the experiences of others is going to help you get a clear view of what you’re looking at. One mattress certainly isn’t going to please everyone who has used it, but if a substantial portion of people had good things to say about it, that can indicate that it is a great choice. Reviews also have a different perk, you can get an in-depth look at what the company is like before you buy it. You can see what people have had to say about their warranty, their experience when they filed a complaint or tried to get a refund, you can see how the experience of those who tried a risk-free trial was, and more. Ensuring that you buy from a reputable company is also an important step, because mattress retailers online are a dime a dozen now, and some of them are going to give you a better value and a better experience than others. Be mindful of where you’re reading reviews to make sure that they were provided honestly. Look at the mattress website itself as well as community selling websites like eBay or Amazon. You can ever read reviews on sites like this one! At Online Mattress Review we are setting out to help you narrow down your mattress choices and ultimately get the one that is best suited to your individual needs. Whether you’re looking for a mattress you can walk into a local store and check out in a city near you, or you want to have one conveniently shipped right to your door, we’ve got you covered! We pride ourselves on highlighting only the highest rated mattresses because we believe your best night’s sleep should only be a click away.